Last week Mr John Cheburet was in Rome with us. It was a very nice experience and I’m sure everyone involved in this experiment got a benefit from it. As you probably remember, John is the winner of the FRI scriptwriting competition on innovation in smallholder agriculture. His script was a story about how Sawdust prolongs the storage life of potatoes. John is a journalist from Kenya and works for The organic farmer. John usually spends his time in contact with farmers around Kenya, collecting ideas and stories. This time the approach was a bit different. 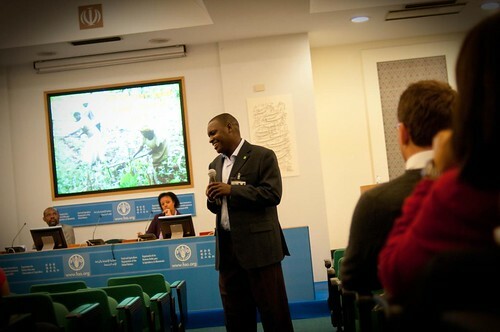 John spent three days meeting with people in Rome, partly at FAO and partly at IFAD. All of them dealing with agriculture but from very different angles. Very different, one from the other: we meet people dealing with Animal health and rinderpest and those working for CountryStat, people dealing with Plant production and potato (the subject of John’s winning script), gender issues, bees pollination and FAO-EU Food facility. And they were many.. The variety of interests was enormous as John interviewed more than 15 people in just one morning and two afternoons. More than 10 hours of sound, as he calls it, were recorded using a fast and simple voice recorder. Wednesday afternoon we were again in the meeting room to learn how radio and development projects can go together. To give the taste of the power of communication. The power of radio, in the days of the Internet. So simple, so powerful. And John had a great success. Every participant was extremely fascinated by what he/she saw and heard. Now you can hear it and see it, just as the participants did few days ago! I think it was a very interesting experiment and would like to have chances to repeat it again, soon. In conclusion, and above everything else, a very special thanks to John for his energy and enthusiasm. Categories: events, reports | Tags: collaboration, comdev, communication, communication for development, FAO, FRI, IFAD, John Cheburet, Kenya, Kenya Broadcasting Corporation, participation, potato, rinderpest, rural radios, scriptwriting competition, The Organic Farmer, winner | Permalink. John Cheburet from the Kenya Broadcasting Corporation!!! John, who is a journalist from The Organic Farmer, won the competition with his script called “Sawdust prolongs the storage of potatoes“! This experience was very interesting and involving to me. I spent hours reading the tens of scripts which qualified for the latest selection. And it was not easy for me to make distinctions among the best scripts as most of them were really high-quality. The best result was the fact that during all the time I dedicated to this exercise, I was more and more convinced of the importance of this project, of the relevance of the scripts and of the potential benefits listeners can receive from such a communication activity. Now with my colleague Liliane of FAO, and then with a more enlarged team, we are starting organizing John’s trip to FAO to share with us his experience in the field and work with together on the preparation of future content for farmers. Compliments John and the other 14 winners of the FRI’s competition. What a good example of activity and collaboration! Read more details on the FRI dedicated website. Categories: news | Tags: Africa, broadcasting, collaboration, competition, education, extension, FAO, FRI, Kenya, rural radio, scriptwriting competition, training | Permalink. Convergence is almost here, somewhere! 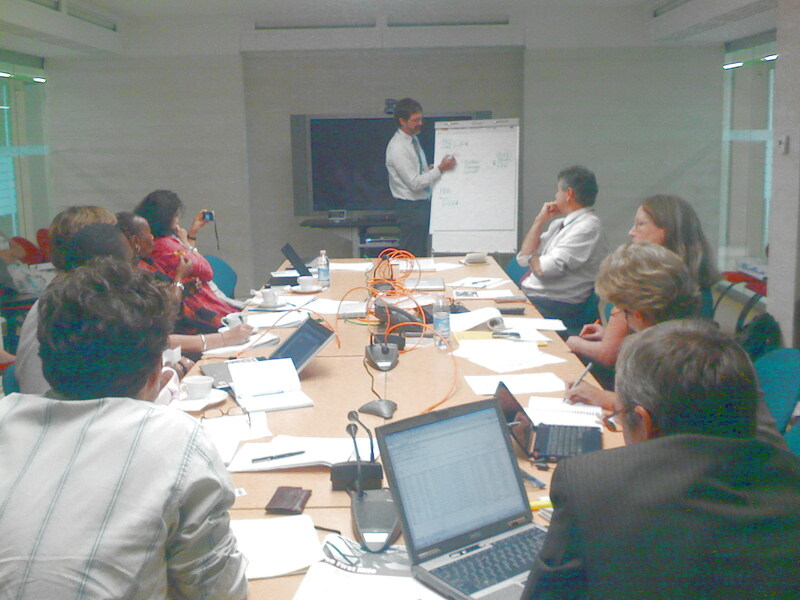 IFAD organized an interesting workshop to learn more on the results of the First Mile Project. I really suggest to read here the details of the project because the methodology is quite interesting. One of the aspects I found particularly interesting is the fact that the whole activity started on a KM project called LinkingLocalLearners, above which a sophisticated commercial activity was built on. Another key point of the project is the massive use of the cellphones and Internet technologies to manage commodity prices in three East African countries: Kenya, Uganda and Tanzania. For my experience, I’m really sure that radios, as communication centres, could be perfect partners of this mechanism: on one side, they have all the requisites to do properly the job of market analysis and prices communication. On the other side, thanks to their advanced communication skills and resources, radios could help the mechanism with additional support like: organizing live training, collecting feedback and news, broadcasting the prices of commodities, offering distance learning, etc. So doing, the “tools triangle” (radio, Internet, mobile phones) would be closed! Categories: ideas, news | Tags: agriculture, agrobusiness, business, capacities, capacity building, distance learning, farmers, icts, IFAD, Kenya, km, knowledge management, linking local learners, LLL, private economy, projects, Tanzania, The First Mile, training, Uganda | Permalink. Launched in the late 2006, Lifelines is a phone-based service which enables rural population in India to access accurate and up-to-date information on agricultural topics. Farmers can dial the Lifelines number 365 days a year and record their question on an automated voicemail system. This message is then picked up by a dedicated knowledge worker from OneWorld who sources the necessary information from a panel of agricultural and veterinary experts. 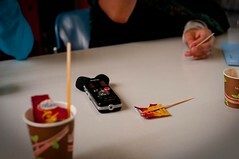 The answer to the question is then left as a recording on the phone, which the farmers can pick up 24 hours later. The National Farmers Information Service (NAFIS) is a voice-based service, intended to serve farmers’ needs in rural areas of Kenya where internet access is limited. NAFIS covers a wide range of crops and livestock information with a variety of services like: text-to-speech systems, Automatic Speech Recognition systems, multilingual agricultural terminology banks, easily-navigable agricultural content and an expert system to make it user-driven and hence more responsive to farmers’ queries. TradeNet is a privately-operated market information system based in West Africa. It allows users to sign-up for SMS alerts for whatever commodities and areas they are interested in. Users in 15 countries can request prices which are provided in real time on the network from many market enumerators that are active throughout 380 markets spread across the continent. Users can also indicate their areas of business and receive instant SMS alerts for offers to buy or sell as soon as anyone else on the network has submitted an offer via their mobile. Established in 2003, Mobile4good is a social franchise project designed to use mobile phone technology to help alleviate poverty and improve the lives of people in the developing world. The platform can distribute content relevant to individual participants based upon different parameters, such as handset, location, time and business profile. The system include different services and have been used in Kenya mainly for the creation of new employment opportunities and to provide medical information. State government officials in Orissa, India, have instituted the use of SMS to help increase transmission speed of alerts and execute the necessary precautionary measures in the context of a campaign to check the spread of avian flu. The field staff send weekly reports using SMS to their directorate, which compiles the data for a consolidated weekly report for critical analysis and a response of appropriate remedial measures. EpiSurveyor is an open source tool enabling users to easily create a hand held data entry form, collect data on a mobile device, and then transfer the data back to a desktop or laptop for analysis. This technology allow users to create forms offline (using the standard EpiSurveyor program) or online (using the future WebiSurveyor site) and download them to mobile phones. The users can then send data collected on those forms by email or uploading to a server. EpiSurveyor, combining an open-source model with leverage of the burgeoning mobile computing network, contribute to the change the nature of public health practice by putting the tools for efficient public health data collection and analysis completely into the hands of health practitioners. The project is one of the Winners of the Stockholm Challenge Award 2008. Zumbido is a pilot project created to support groups living in urban and rural areas of Mexico. 40 people have been divided into 4 groups and provided with mobile phone that enabled a simultaneous communication between all the ten members of each group. Every participants had unlimited text messages. So doing, people are able to simultaneously communicate using messages to their nine co-members. The participants’ enthusiasm was demonstrated by 5,000 messages sent in the first three days and over 240,000 during the course of the trial. Clearly, there was a deep need to communicate and share experiences about access to health care services, discussing human rights and problems of discrimination and ignorance. The mobile hospital project in Argentina aims to take health and health education where people lives, eliminating the social, economic and cultural barriers that prevent people from having access to a good medical care system. In the long term, the project wish to promote a major equity within the society by integrating the poorest people to the health system. Ushaidi in Kenya is an experiment to exchange and distribute information via cellphones about social and political crisis. The platform allows anyone to gather data via SMS, email or web and visualize it on a map or timeline. The goal is to create the simplest way of aggregating information from the public for use in crisis response. During riots in early 2008, Ushahidi worked as a tool for people who witnessed acts of violence to report incidents they have seen. Once verified by local groups working on the ground, the incidents were placed on a map-based view in a blog (geo-positioning technology to build up a picture of the situation was used) for other citizens to see. SMS and mobile technology have been used also in Nigeria to monitor voting activities during the elections in 2007. 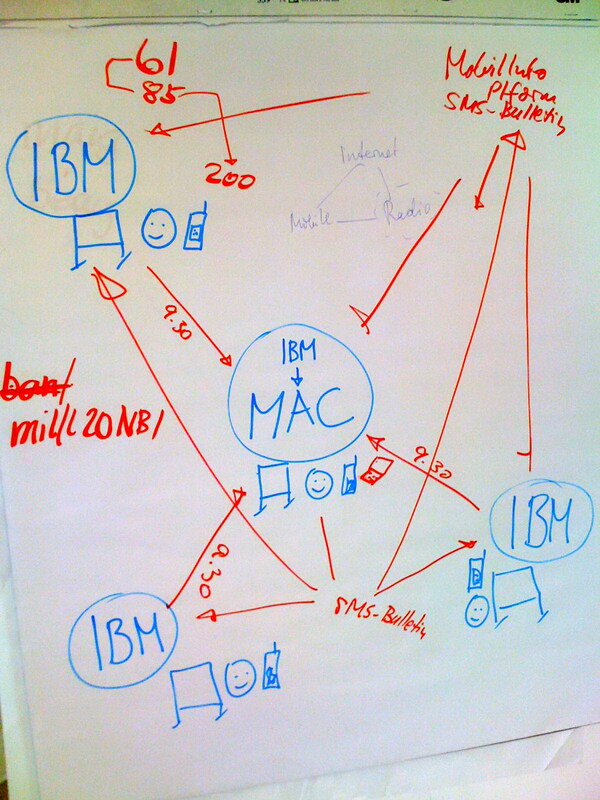 The Network of Mobile Election Monitors (NMEM) used SMS to feedback observations to a central computer hub. The goal was to give every citizen an opportunity to monitor the elections and tell the world via cellphone what was happening in their area during the voting. Voters’ and volunteers’ observations were texted to one cell number and lately cross checked to make sure of their accuracy. NMEM kept track of all of the texts using FrontlineSMS and prepared a final report. MIND (Mobile Technology Initiatives for Non-Formal Distance Education) is an innovative research project that looks into the viability and effectiveness of using SMS as part of a blended learning experience for out-of-school youth and adult learners in the Philippines. The goal is to test the feasibility and acceptability of using SMS for delivering non-formal distance education modules to different socio-economic, cultural and gender groups, and to determine the motivation of users for distance education purposes. With the VAVAN ICT Agricultural Sustainable Project, cellphones and other ICT equipments are used to foster agricultural development, by easing communication between farmers and the consumers’ community. Using SMS, farmers can reshape the “supply chain” for their products, avoiding long trips to distant markets and delivering the products directly at the customers’ houses. This eases transportation and prevention of accidents and theft, as farmers exchange text messages about roads conditions and suspect situations. In the future, a website will advertise all the products of the farmers’ network, offering from vegetables, cocoyam, yams, cassava, plantains, bananas to animals, like chickens, pigs, goats and cows. MXit is a message exchange software for cellphones. It enables sending and receiving text messages to and from mobile phones and PCs via the Internet, using a GPRS or 3G connection, rather than standard SMS technology. People can chat directly from their mobile phone, with other MXit users on their mobiles or on their PC’s, anywhere in the world. The software allows to send a message of up to 2000 characters and connect to MSN messenger, Yahoo, ICQ, AOL messenger or Jabber communities. RapidSMS is an SMS-based tool that allows mobile data collection and bulk sms messaging. Users can collect both quantitative and qualitative data through SMS forms. It also includes support for IVR interaction and voice callback. RapidSMS has been developed by the Youth Section within the Department of Communication of the UNICEF using mobile phones in the field. Categories: reports | Tags: Africa, Asia, capa, cellphones, communication, election monitoring, elections, EpiSurveyor, Forum on Mobile Telephony in Rural Areas, FrontlineSMS, India, Kenya, kiwanja, km, km4dev, knowledge sharing, lessons learned, Lifelines, mDemocracy, mDevelopment, mEducation, mEmergency, Mexico, mGovernment, mHealth, mobile, mobile hospital project, mobile4good, MXit, NAFIS, Nigeria, NMEM, Orissa, Project MIND, projects, RapidSMS, services, SMS, software, South Africa, technology, tools, Tradenet, UNICEF, Ushahidi, VAVAN, voicemail, voting, wireless technology | Permalink. Before the summer, I was looking for examples on the use of cellphones for development and I got plenty of them in a moment! The first way cellphones were used to sustain development is to deliver news about market prices. It is happening for agriculture and fishery, in Africa and Asia. The mechanism is simple: the users are usually farmers or fishermen interested in selling their products. Via SMS they receive information about prices on different markets in their area. In this way they can easily decide where to go to sell their products to maximize the earnings. IFAD is running a service of this kind in Tanzania: market spies called “shu shu shu” are scattered around the country to collect information about markets and share them via cellphones with the other members of the same organization. As the mission statement says, the Ugandan Brosdi wants “to empower the civil society through knowledge sharing using ICT as a medium sothat they can improve their livelihoods.” The idea is the following: information and common knowledge is collected during Knowledge Sharing Forums, written, repackaged and sent once a week to the subscribers’ cellphone numbers using both a mobile phone and Gmail services. The farmers record the SMS in a book, saving it for future reference. Other farmers without mobile phones at their will can access this knowledge and further freely disseminate it within the village. Information market can a source of revenues everywhere and Reuters got the point: so, last year the company launched in India a specific mobile information service for farmers in the State of Maharashtra. Reuters Market Light, RML, a short messaging service costing 60 rupees ($1.50) a month, offers Indian farmers up-to-date, local and customized commodity pricing information, news and weather updates. In addition, after an agreement with Maharashtra’s Postal Circle, the service is accessible at the nearest post office for farmers without cellphone. The CGIAR ICT-KM has a pilot project focused on recognizing the value of farmer knowledge, to get farmers to value their own knowledge and ideas and find ways to share this knowledge between farmers. The main activity of the project revolved around the organizing of an International Farmers’ Conference with over 50 farmers attending. The farmers, instead of being passive participants, were asked to present their situations, knowledge, experiences, ideas and skills using storytelling. Their stories were recorded in video, audio and text forms to be disseminated in various ways and will be made available on the web. Additionally, the organizers uploaded small story clips onto mobile phones and showed the farmers how to send these to other farmers via cellphones. This to stimulate knowledge sharing and a farmer-to-farmer extension system to facilitate the spread of useful ideas, techniques and knowledge around agricultural activities. On the software side FrontlineSMS, created by kiwanja, is a very useful tool to enables users to send and receive text messages with large groups of people through mobile phones. 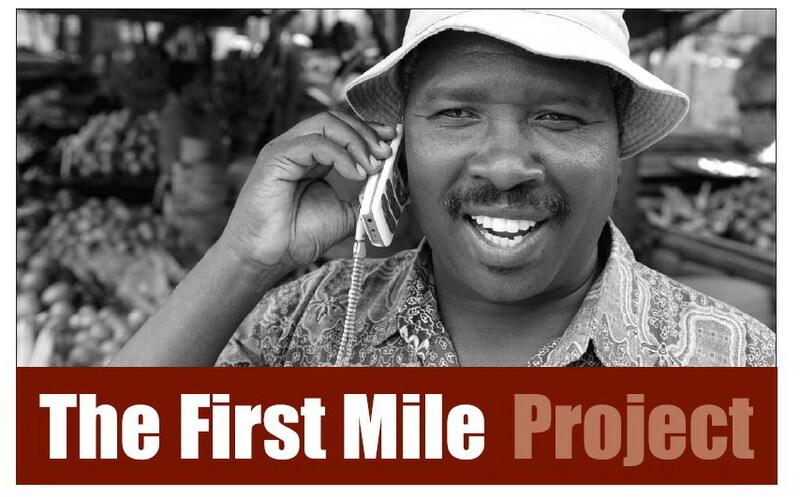 FrontlineSMS is the first text messaging system created to avoid a lack of communication that can affect non-governmental organisations (NGOs) working in developing countries. By leveraging basic tools already available to most NGOs, as computers and mobile phones, the tool enables instantaneous two-way communication on a large scale. Health is heavily targeted by many initiatives. ZMQ, an Indian software company, is launching a new service for women: once registered with the date of pregnancy, the person will receive weekly tips on what to eat, what vaccines to get, and when to get check-ups. On the other hand, GrameenPhone, in cooperation with Telemedicine Reference Centre Limited, offers an electronic health information and service called Healthline. The service, open to all GrameenPhone subscribers, is an interactive telephone consultation with licensed physicians. Subscribers can also find information on various drugs and pharmacies, on medical facilities and the doctors attached to them, and results from laboratory tests and recommendations, together with the standard form of medical consultation and advice. Cell-life is a South African company providing mobile services to fight HIV-AIDS. Cell-life uses mobile phone technologies in many innovative ways, to provide a free information service via SMS, and to address logistical challenges in developing countries such as booking clinic appointments. When someone is diagnosed HIV-positive, there is an interview for acceptance into an Anti-Retroviral Treatments program. Then the assignment to a therapeutic counselor, who liaise with 15-20 patients, collecting essential information on the basis of which a doctor will make a prescription and a care manager will direct a program of care. The forms were translated onto the cellphone: forms about adherence to treatment, about symptoms, about appointments and these generated SMS messages. Mobiles can also used to connect refugees to vital services. GSMA offers the possibility to connect refugee camps in northern Uganda to mobile networks to support family reunification, education, health care, economic activity and other needs. 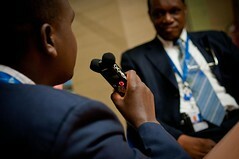 Refugees are provided with shared access to voice and data services. Under this approach, one of the villagers has the opportunity to establish a small business providing use of mobile phones, or computer terminals with mobile Internet access, to their community. The Bihar region and the recent floods offered a chance to local authorities and rescue teams to collect and distribute information on local condition and rescue interventions, as fixed communication lines have been hardly affected by the floods. M-Pesa is a very popular service offered in Kenya to send money in an instant transaction via SMS. Every subscriber while depositing cash to one of the M-Pesa shops will receive an e-value cash voucher on the M-Pesa account. Later, the vouchers can be cashed at any appointed agent across the country. The impact seems to be so big and the service so popular that the company is expanding the system merging also with other type of banking, while traditional banks are complaining against this innovation. Following the example, the service is going to be replicated in Afghanistan. While now the next step is to use mBanking to trasform microcredit. Based on the M-Pesa experience, Concern organized with local partners in Kenya a targeted response to the food security problems that affected rural communities as a result of the post election violence in the early months of 2008. More than 500 households, whose livelihoods had been badly compromised by the violence, with the loss of livestock or homesteads, were selected to receive assistance through a community-based targeting process. Concern decided to provide assistance in the form of cash rather than food: using the M-Pesa system, the project aimed to provide each household with cash sufficient to purchase 50% of one month’s minimum calorific requirements through two transfers. Finally, an example of mobile application in the public sector: the eSeva project in Andhra Pradesh State of India is a one-stop-shop for many services government-to-consumer (G2C) and business-to-consumer (B2C) services including payment of utility bills; reservations of train tickets; getting birth and death certificates, vehicle permits, driving licenses; transport department services; sale and receipt of passport applications; telephone connections; collection of small savings; ATM (cash withdrawal and deposits and issue of statement of accounts); mutual funds (collection of applications and transfer of shares); receipt of complaints or requests in connection with citizen services; cell phone bill payments, etc. Categories: reports | Tags: Bangladesh, Brosdi, capacity building, Cell-life, cellphones, CGIAR, communication, development, eSeva, FrontlineSMS, Grameen Phone, ict-km, IFAD, India, Kenya, kiwanja, lessons learned, M-Pesa, market prices, mBanking, mDevelopment, mEmergency, mGovernment, mHealth, mobile, ngo, projects, services, SMS, South Africa, Tanzania, technology, tools, Uganda, wireless technology, ZMQ | Permalink.